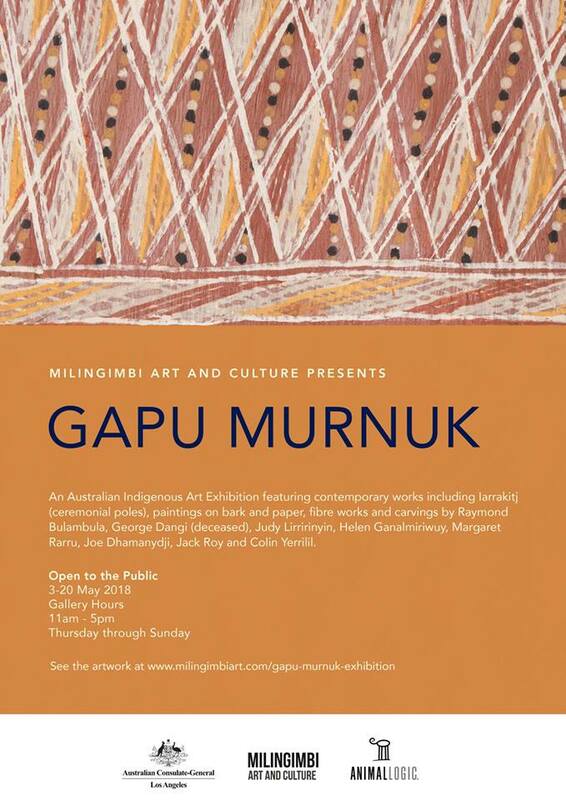 The rare art show is being hosted by the Australian Consulate-General, Los Angeles & Animal Logic in association with the Milingimbi Art and Culture Centre and Australians in Film. 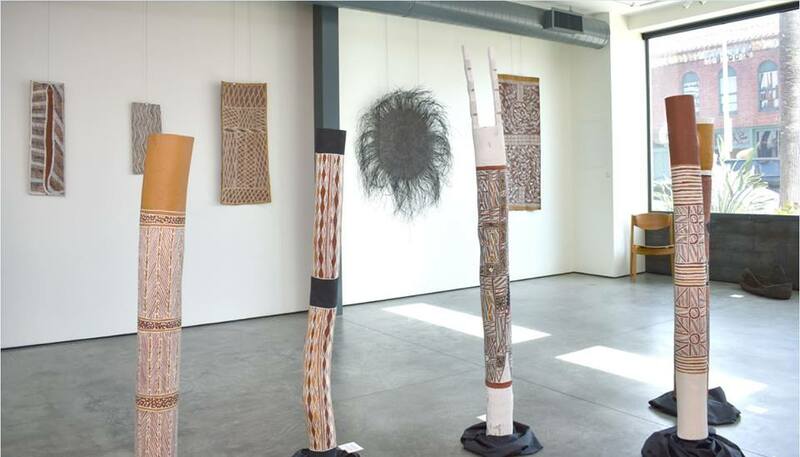 The exhibition features contemporary works including larrakitj (ceremonial poles), paintings on bark and paper, fibre works and carvings by Raymond Bulambula, George Dangi, Judy Lirririnyin, Helen Ganalmirirwuy, Margaret Rarru, Joe Dhamanydji, Jack Roy and Colin Yerrilil. The exhibition will run from 3-20 May, 2018.